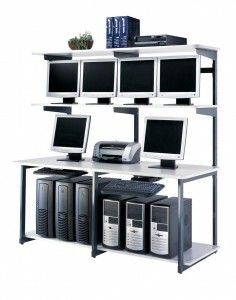 Affordable computer racking stations for organizing networking hardware and equipment. Framework: 1″ x 2″ x 72″H, 14-gauge steel. 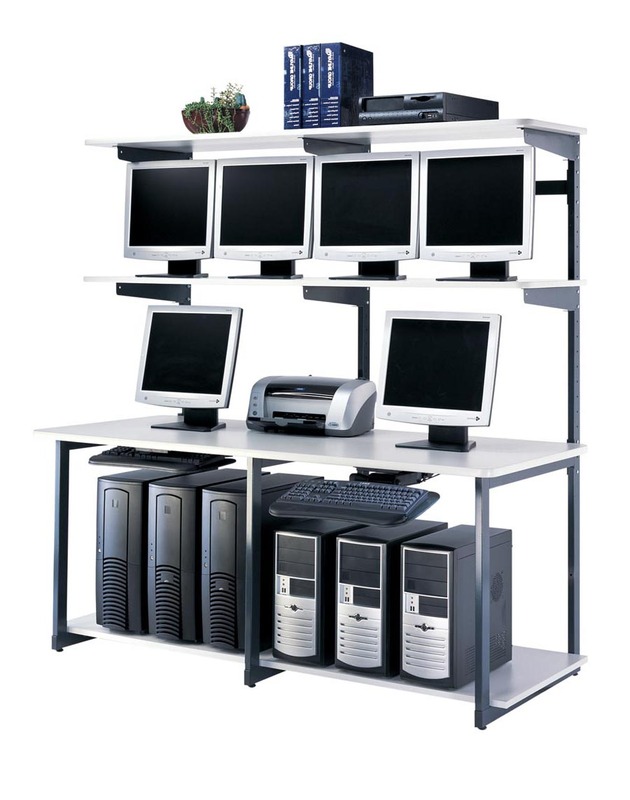 Frames allow for shelf adjustment in 2″ increments. Tested to 600 lbs. per 24″/36″ frame without failure. Shelves: Thermally-fused laminate (TFL) over 3/4″-thick particle board core. Shelves tested to 250 lbs. without failure. Work surfaces: Thermally-fused laminate (TFL) over 1″ thick particle board core. Post-formed tops not available. Color: Graphite paint finish with Ice Gray TFL surfaces only.